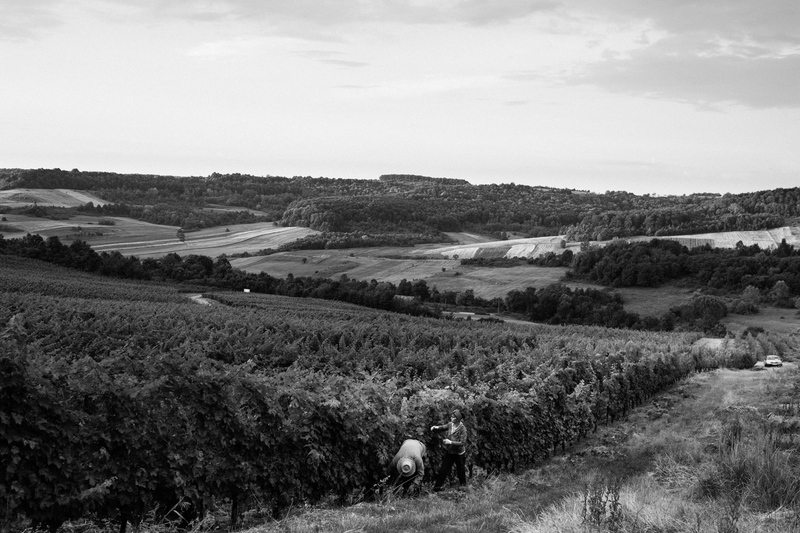 A view of Corcova Winery's vineyards in the early morning as villagers prune vines. Corcova, Romania. 13 July 2017. Photograph by Davin Ellicson for Le Monde M Magazine.